I’ll be presenting at Internet Week NY on Monday, June 6th, 2pm. 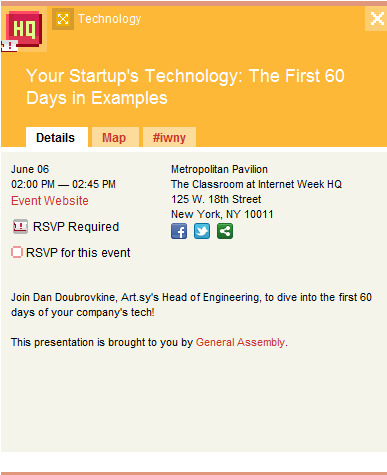 Your Startup’s Technology: 0-60 @ Internet Week was published on May 24, 2011 . See a typo?